New York – Nearly 45-years since Roe v. Wade legalized abortion nationwide, the National Institute for Reproductive Health (NIRH); prinkshop, the social impact apparel and accessories brand; and Kule, lifestyle fashion brand, have partnered on a limited-edition tee that supports reproductive rights. The tee shirt commemorates the historic year Roe v. Wade was decided and features Kule’s classic 70’s-inspired stripe with prinkshop’s bold ‘1973’ graphic silk-screened across the chest. Kule and Prinkshop will each donate 30 percent of tee shirt proceeds to support NIRH’s efforts to protect and advance access to abortion at the state and local level. prinkshop, whose entire business model is built on creating graphic advocacy campaigns with proceeds benefiting not-for-profits, aims to sell 100,000 ‘1973’ shirts by 2020 and build a tribe of reproductive rights, health and justice activists. “Partnering with prinkshop and NIRH on this project was a no-brainer; the time to be public and proud of our support for access to abortion and reproductive freedom is now,” Nikki Kule, Fashion Designer and Founder of Kule. “Purchasing the ‘1973’ edition of our classic Kule striped tee supports women-owned business and access to reproductive health. It doesn’t get much better than that. Since President Trump was inaugurated in January 2017, women have witnessed his pursuit to dismantle access to affordable health care, including a roll-back of the Affordable Care Act’s (ACA) contraceptive coverage mandate that will allow employers, insurance companies and universities to deny women insurance coverage for birth control, and the President’s dogged commitment to overturn Roe v. Wade the first chance he gets – a commitment made evident in his appointment of anti-choice Justice Neil Gorsuch to the Supreme Court. Additionally, since Roe was decided in 1973, states around the country have passed more than 1,000 laws restricting access to abortion. And this year, politicians are continuing the trend of imposing record numbers of anti-abortion laws and shutting down clinics. But, as was true in 1973, our activism and advocacy will shape our future. 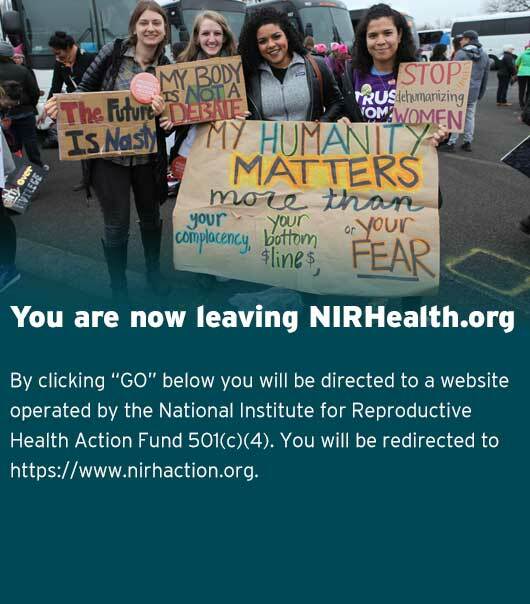 This year, with the support of organizations like NIRH, 49 states and the District of Columbia introduced 643 bills that tried to expand coverage for all forms of reproductive health care for their resident. More than 100 of those bills are aimed at protecting and expanding access to abortion for women across the country. With the support of Kule and prinkshop, NIRH will continue to work with state and local partners across the United States to move forward the positive trend of protections and advancements for women, and fight for a society in which everyone has the freedom and ability to control their reproductive and sexual lives. The limited edition ‘1973’ tee shirt is available at prinkshop.com and kule.com today. prinkshop is a social impact apparel and accessories brand that encourages people to wear what they care about. prinkshop creates graphic advocacy campaigns for social and political issues and then silk-screens them on T-shirts, totes, and wall prints with proceeds benefiting corresponding not-for-profits. The goal is to spark conversation, generate awareness about a range of pressing issues, and raise funds for social impact organizations. prinkshop apparel and accessories are sold at www.prinkshop.com. Kule is a focused fashion brand built on the perfect stripe shirt. Following a long career as a luxury childrenswear designer, CFDA member Nikki Kule launched her stripe-based collection in 2015. The line now includes women’s and men’s tees, luxe cashmere sweaters, Italian cotton woven shirts, and sporty accessories. KULE is sold through exceptional retailers including Barneys, Forty Five Ten, Nordstrom, and Neiman Marcus.